I was in the mood for an over the top, hysterical, it hurts my eyes, but it's so pretty kind of glitter. I had a browse through my stash and this just jumped out at me! I don't think I own anything quite as hysterical (in a very good way) as this! 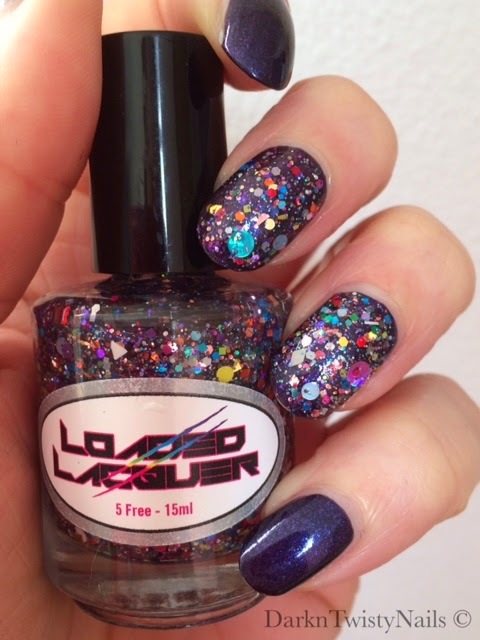 Loaded Lacquer Tornado in a trailer park is a clear based polish, packed with every single shape, size and color glitter you can imagine. It's got circles, hearts, squares, triangles, butterflies, bars... you name it, it's in there! Why is this so jampacked with every imaginable glitter you ask? 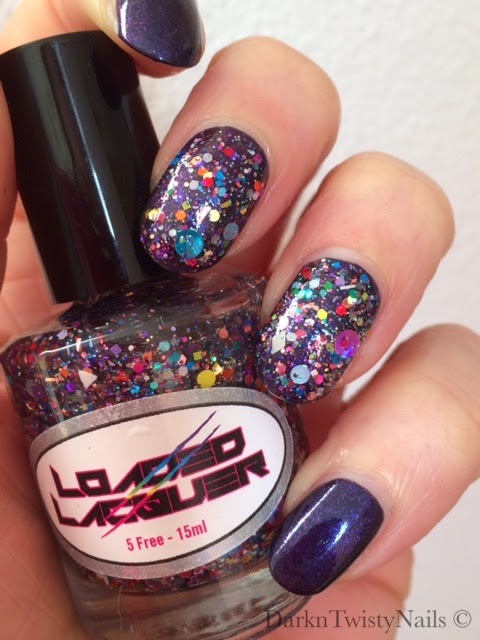 Well, that's because Heather (the owner and creator of Loaded Lacquer) throws all the left over glitter from all of her polishes in this mix. 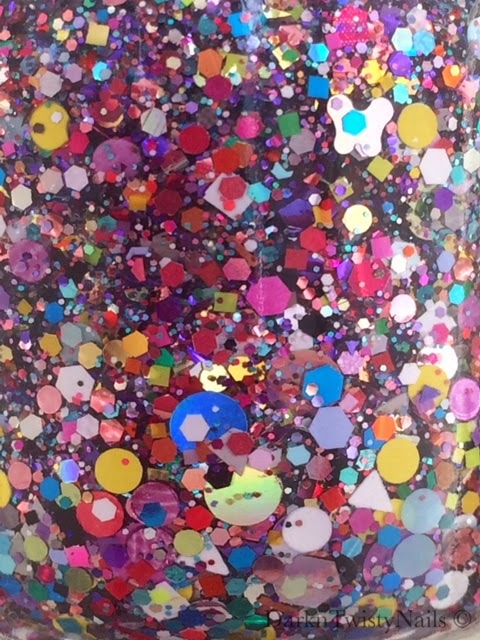 So every time she releases a new polish, new glitter is added to the Tornado mix, which means you could potentially buy this polish over and over again and get a different polish every time. The formula is really nice for such a packed polish. 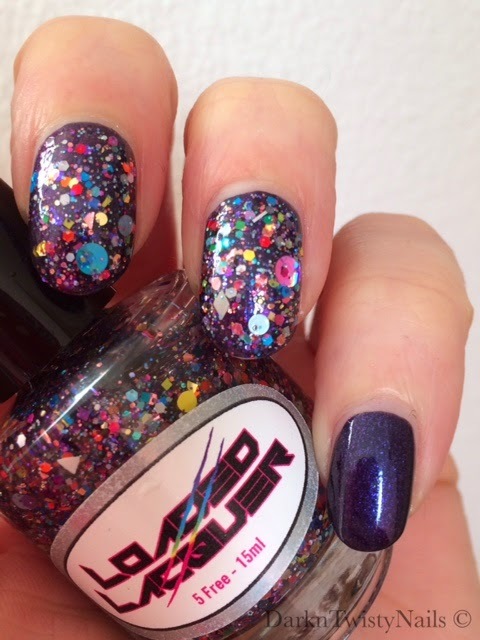 The glitter comes out easily, but if you want every single shape on your nail, you might need to do a tiny bit of fishing. I personally just paint 1 -2 coats and see what I end up with. It dries really fast and shiny, but adding a top coat to smooth it out is a very good idea. 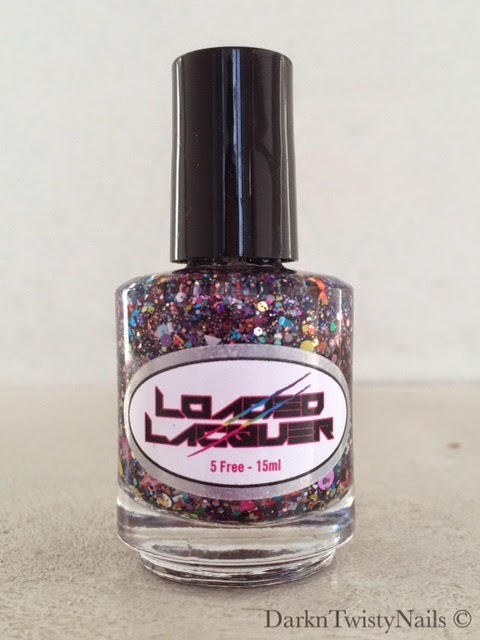 Loaded Lacquer is available on the website, check out the restock page to see when this polish will be available again. 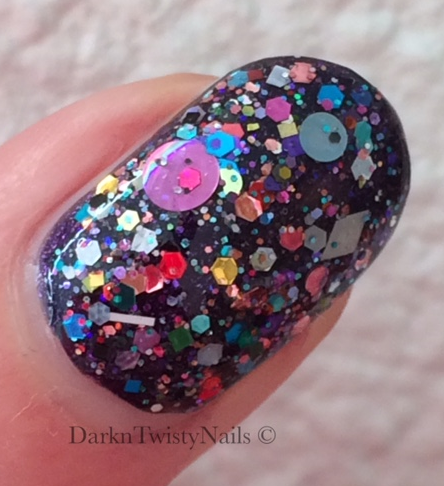 Are you a glitter lover like me or do you prefer more subtle polishes? "FUN" is een woord wat in me op komt, wat is ie leuk! i need a glitter like this!